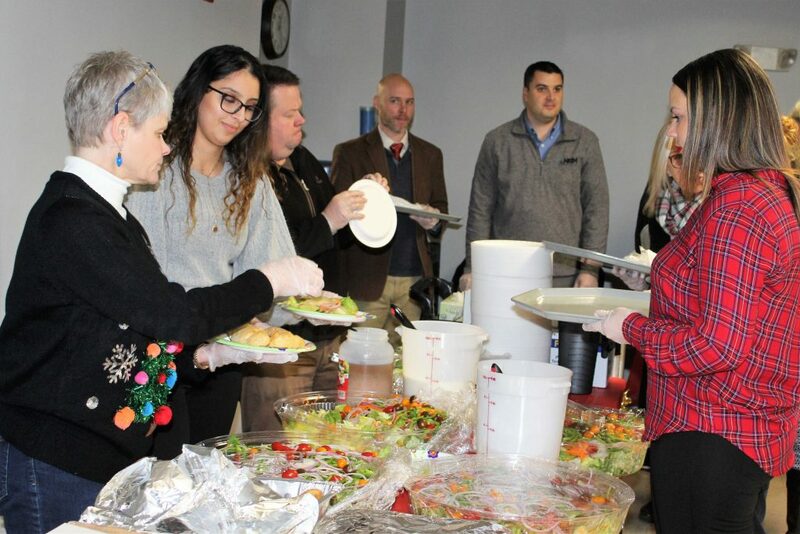 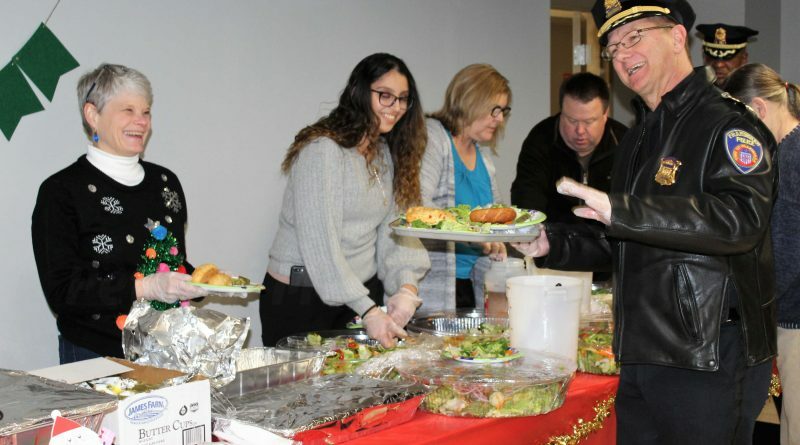 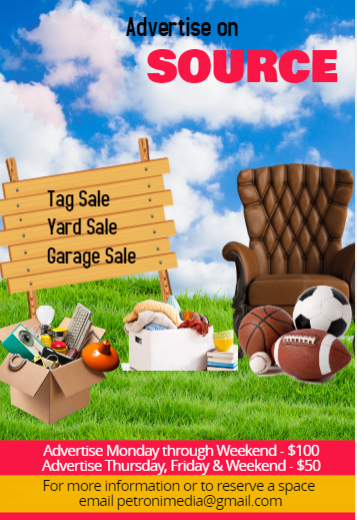 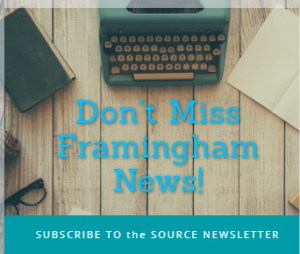 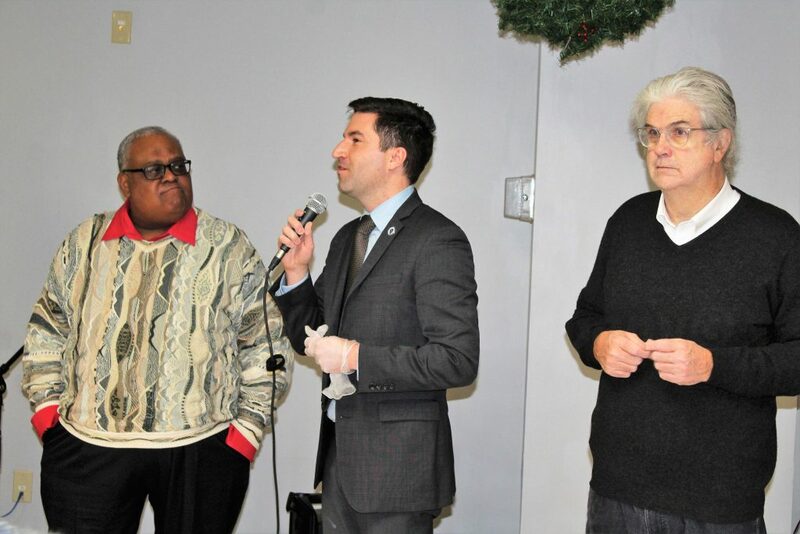 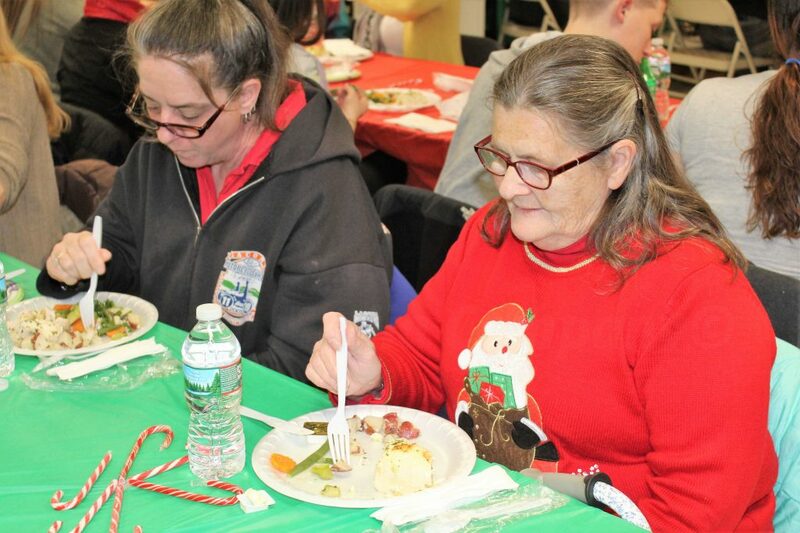 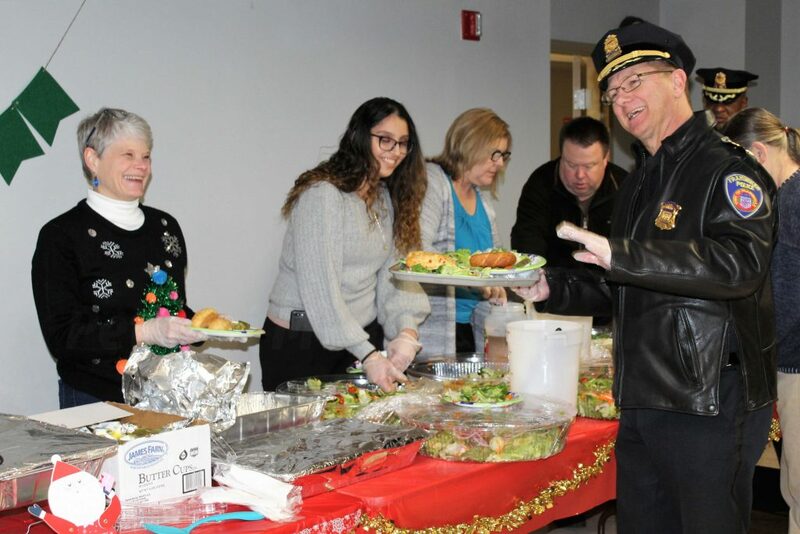 FRAMINGHAM – Since 2006, the South Middlesex Opportunity Council (SMOC) and the United Way of Tri-County has hosted an annual holiday party or single adults, many who now live in SMOC’s Greater Framingham area housing. 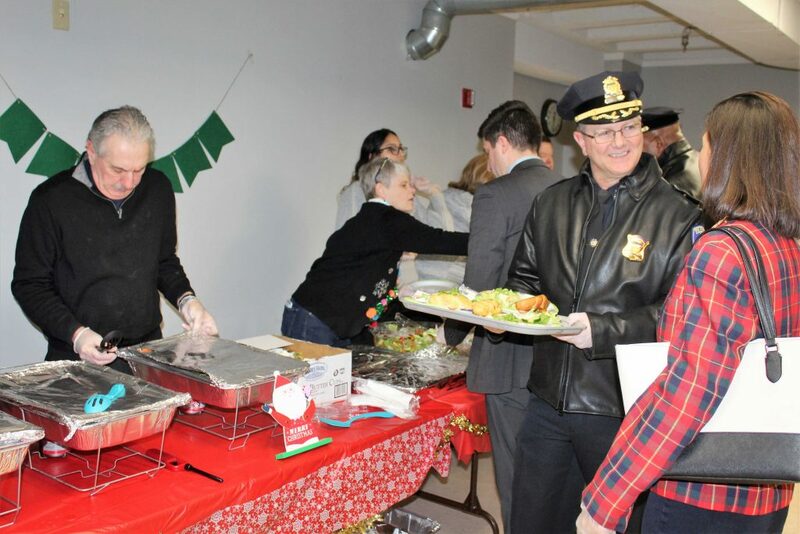 The party was yesterday, December 18 at the Greater Framingham Community Church. 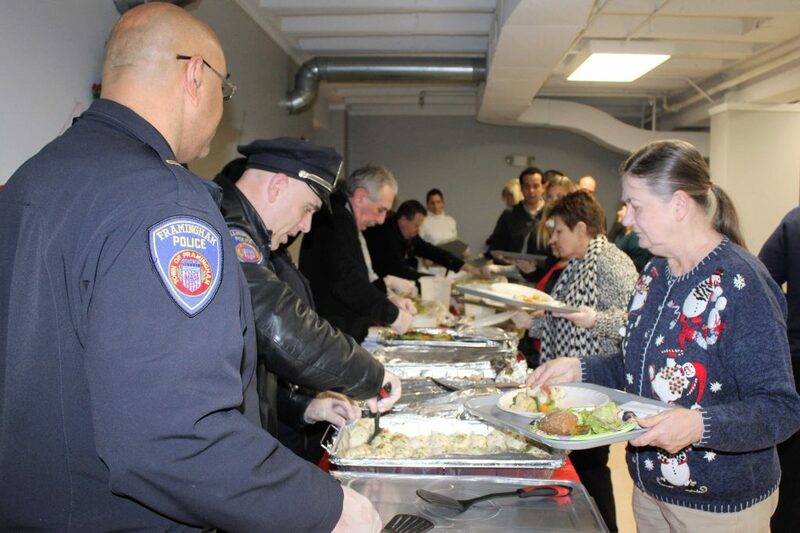 City of Framingham Mayor Yvonne Spicer spoke briefly, as did State Rep. Jack Patrick Lewis. 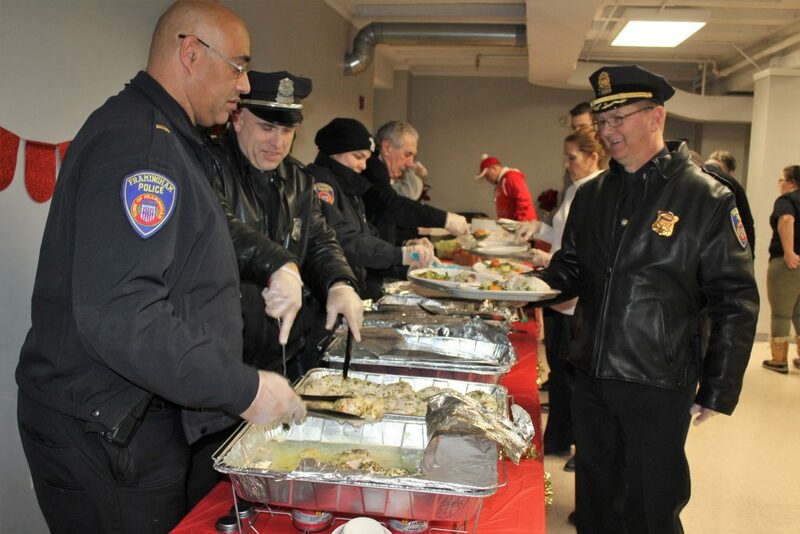 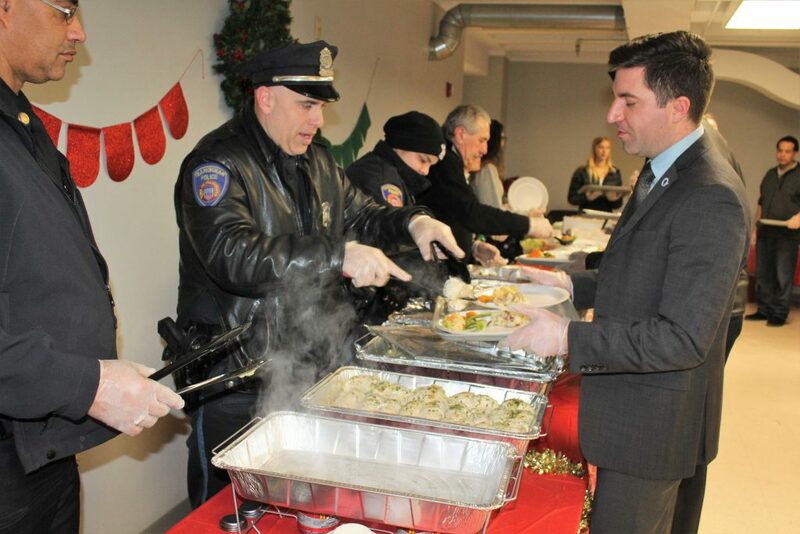 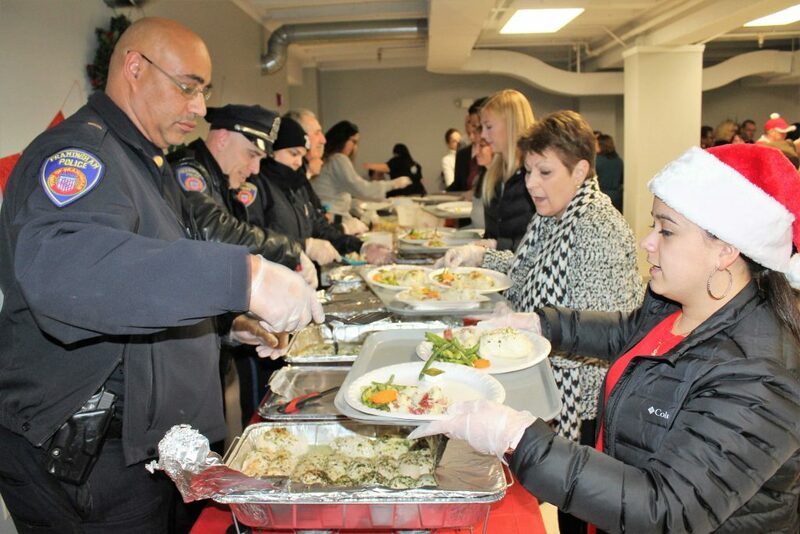 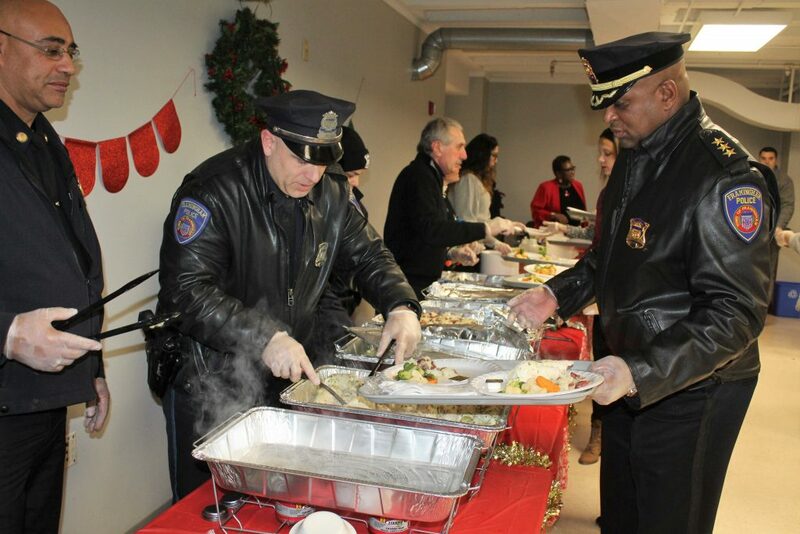 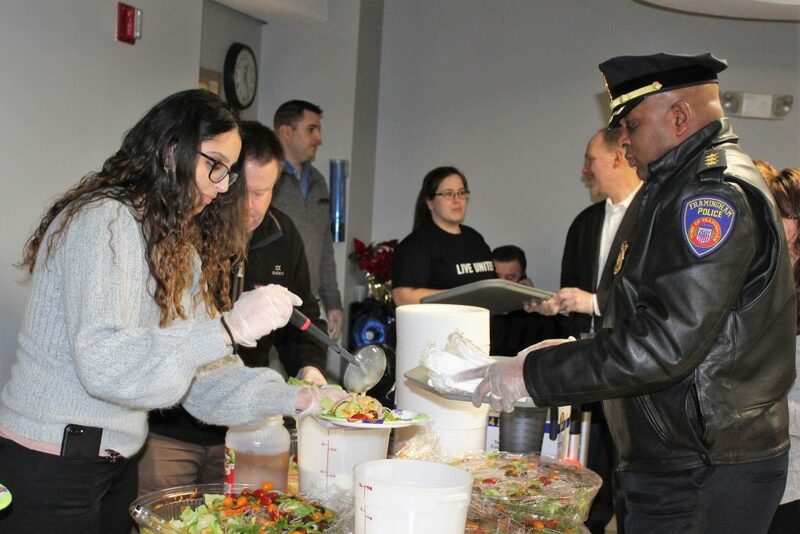 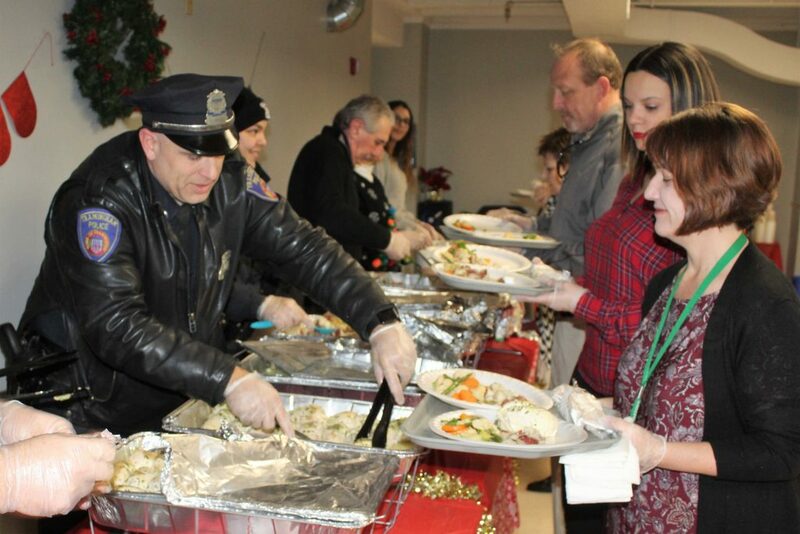 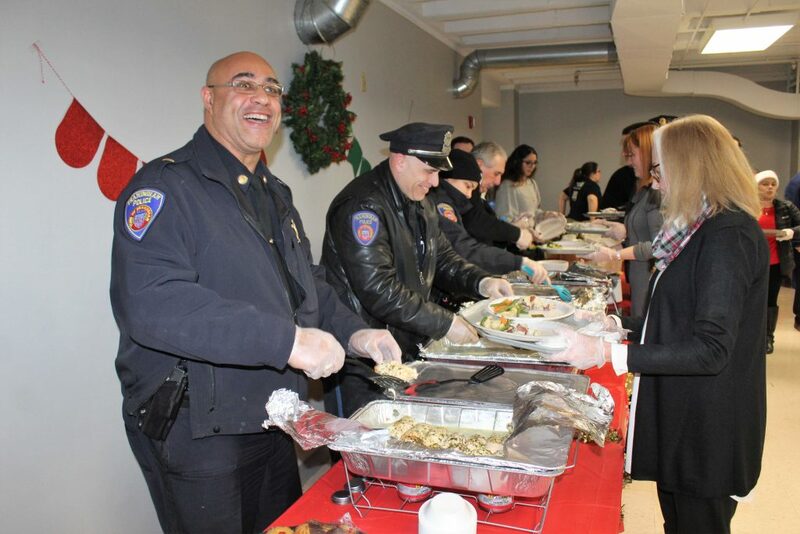 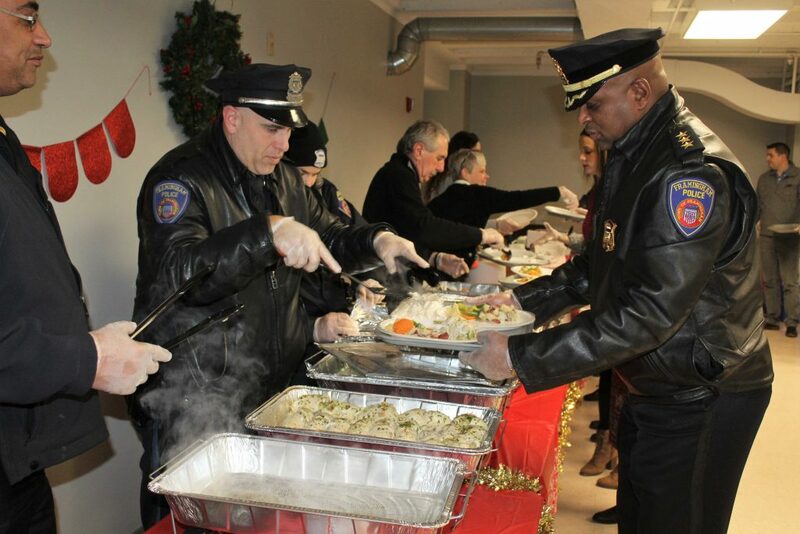 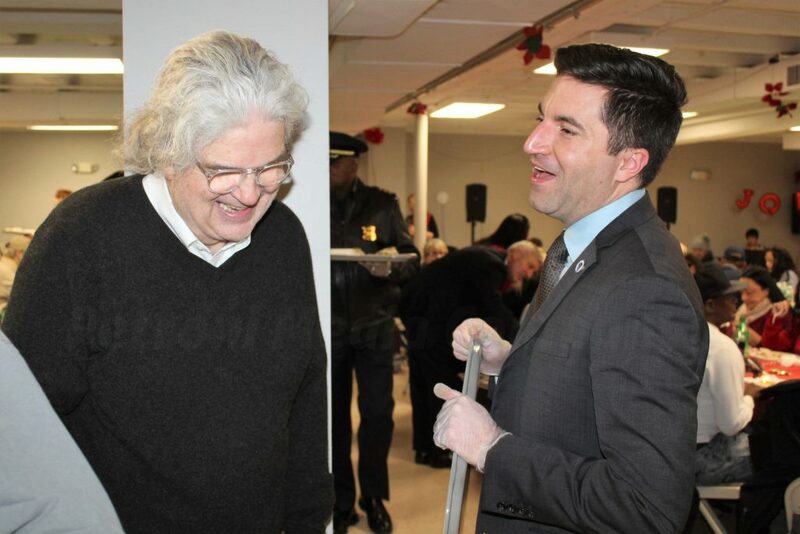 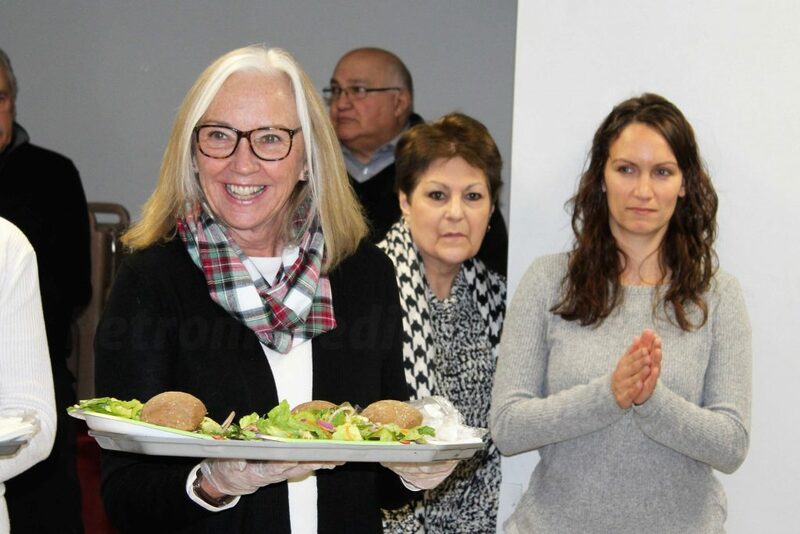 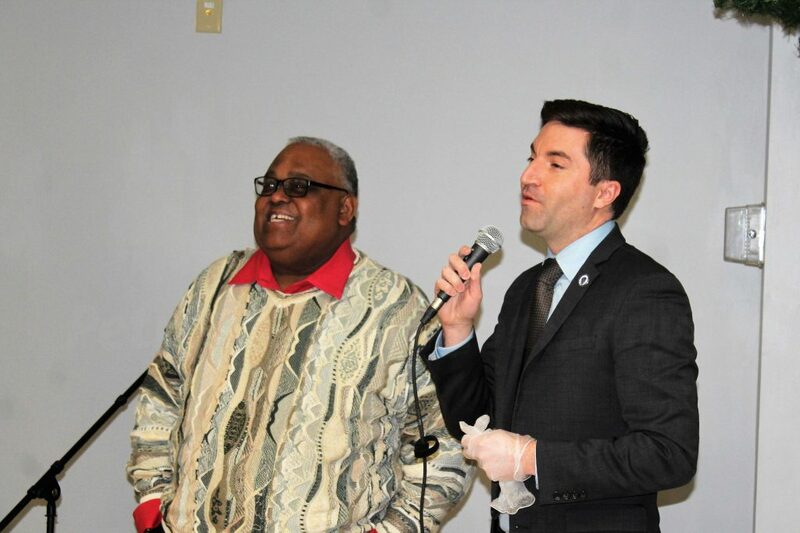 Lewis then put on his gloves, and joined City Council Chair Dennis Giombetti, and Police Chief Steven Trask in serving meals to the more than 160 individuals in attendance. 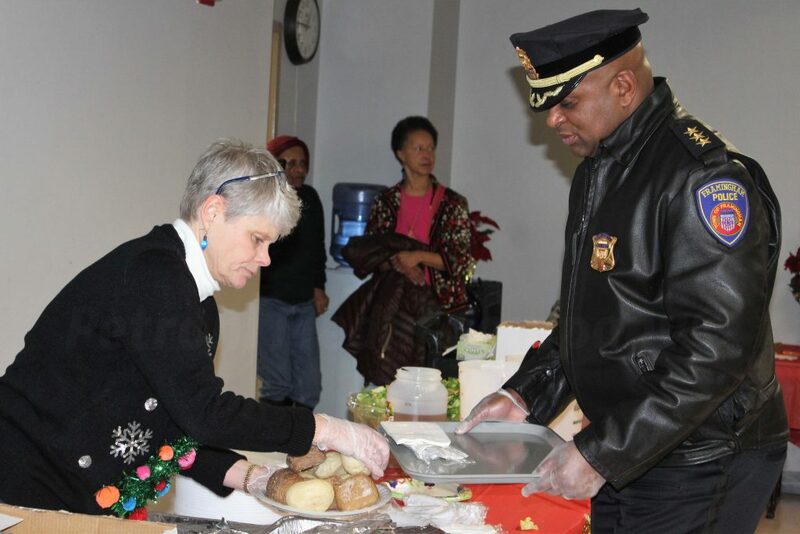 Also helping to serve was Deputy Police Chief Lester Baker. 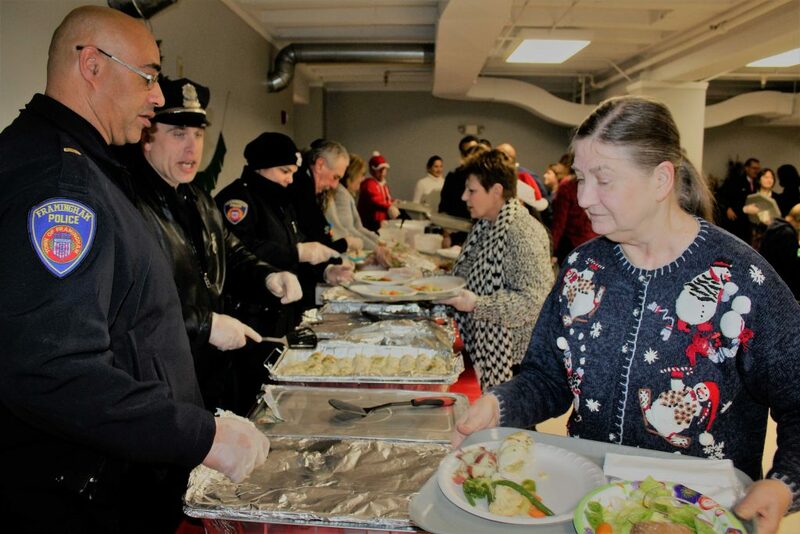 District 1 City Councilor Charlie Sisitsky, District 9 City Councilor Edgardo Torres, District 2 City Councilor Pam Richardson, At-large City Councilor Cheryl Tully Stoll, State Rep. Carolyn Dykema, Parks & Recreation Commissioner Joan Rastani, and a handful of other members of the Framingham Police Department. 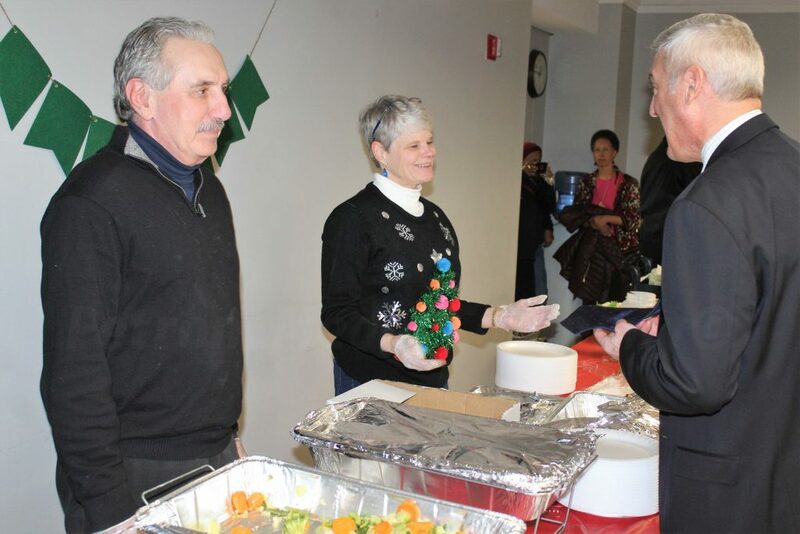 The event featured live music, caroling, and gifts for the attendees. 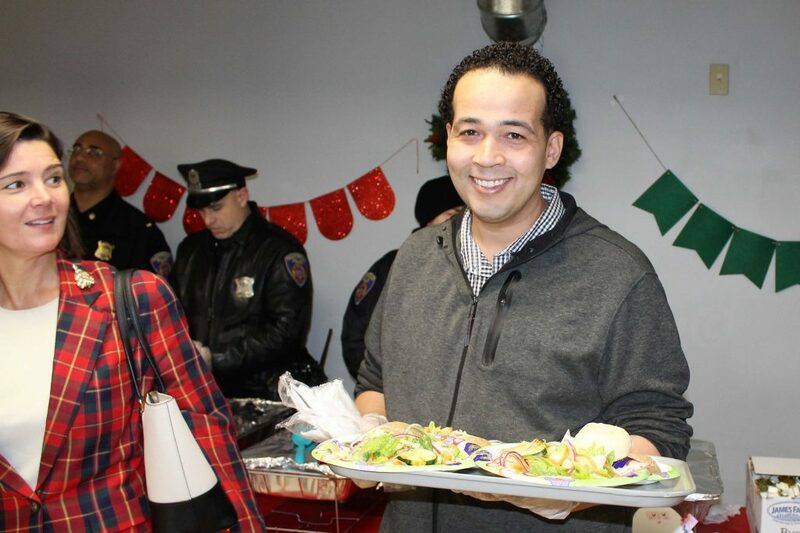 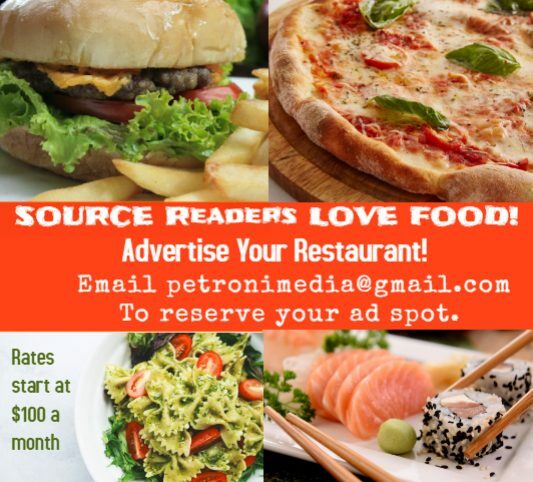 Paul Mina said the United Way paid for the meal, but the food was catered by Sunny Side Catering. 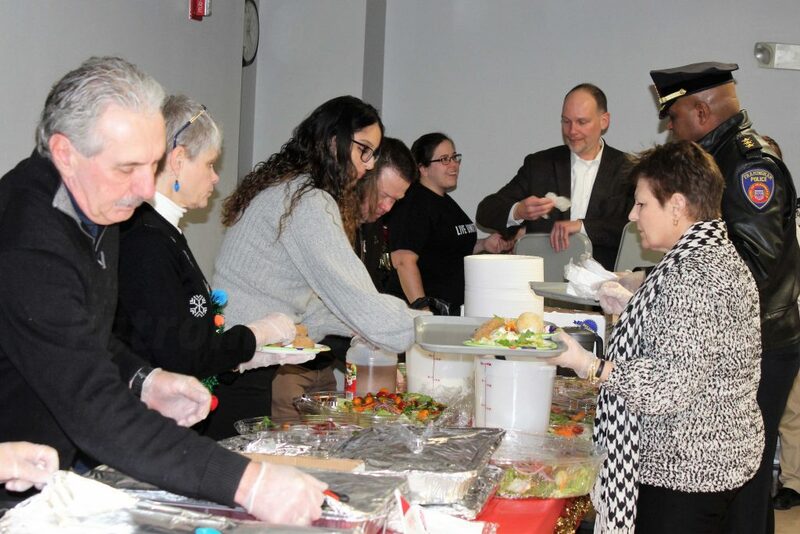 Several SMOC employees, as well as a handful of City of Framingham employees also helped with the serving of the meals yesterday.